After years of corruption allegations, Jacob Zuma has resigned as South Africa's president. South Africans can now breath a sigh of relief. South Africa is often looked at as a democratic and economic model for the rest of the African continent. It has a diverse economy, and since Apartheid, has been an example of non-racial, non-sexist democracy. However, for the much of the past decade that image has been tarnished under the leadership of Jacob Zuma. 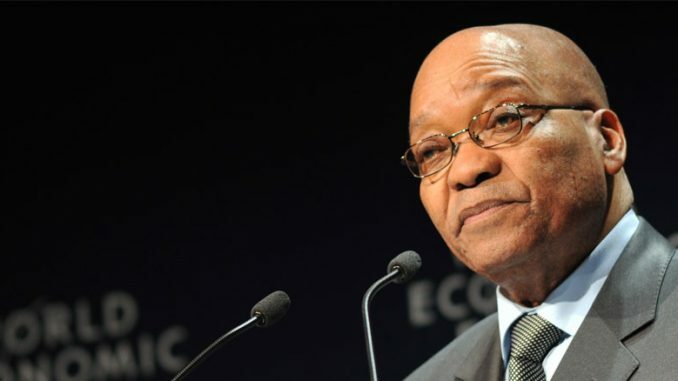 Zuma, age 75, has been president since 2009 as the leader of the African National Congress (ANC), and has faced allegations of corruption for most, if not all, of that period. On February 14th, Zuma officially resigned as South Africa’s president. His resignation was much overdue. Jacob Zuma’s middle name is Gedleyihlekisa, which translates in Zulu to mean “one who smiles while causing you harm.” It is fitting for the man who faces 783 corruption charges. A court had originally thrown out the charges, but the South Africa Supreme Court of Appeals unanimously reinstated the charges last October, ruling that the reason they were originally thrown out was “irrational.” The charges stem from an arms deal where Jacob Zuma with other government officials are accused of taking kickbacks from the purchase of fighter jets, patrol boats, and other arms. Another source of corruption allegations came from Zuma’s close friendship with the Gupta brothers—a business trio from India with deep political ties. When emails came to light that suggested the Gupta brothers used their wealth and influence to gain lucrative government contracts for their companies, it reeked of corruption in regard to President Zuma whose family members have significant business dealings with the brothers. Five people were arrested when investigators raided a series of mansions belonging to the Gupta brothers in relation to corruption charges involving a government-funded dairy farm. The new president of South Africa, Cyril Ramaphosa, has a mess to clean up. The economy is shaky, and by many measures the country is worse off than it was before Zuma came to office. Currently the unemployment rate—with the participation rate factored in—stands at 36 percent. South Africa’s health and education systems are in desperate need of attention. And all of that must be dealt with on top of restoring the trust of the people. South Africans, though, can be proud that they got rid of a bad leader without having to resort to extra-legal measures. Jacob Zuma’s departure from the scene was done by following the country’s laws and party practices. This cannot be said for their northern neighbor of Zimbabwe, which had to force Robert Mugabe from power in a military coup last November. Once again, South Africa can pride itself for being a model for other countries on the continent.